I recently noticed that the Royal Society is floating the idea of ‘gene editing’ as a possible key to unlocking further value from New Zealand’s dairy industry. Gene editing is code for genetic modification. And the only thing this key would unlock is a Pandora’s box of bad news for New Zealand’s reputation as a producer of premium natural food. Once opened, whether in the dairy industry or elsewhere, there’s no going back. 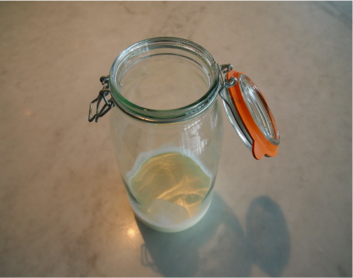 The Royal Society’s argument is that gene editing would remove some allergens that make milk difficult to process for some non milk drinkers. That strikes me as a very weak excuse for scientific meddling when our future as a country is ever more tied to our reputation as one of the best places on earth to produce food as nature intended it. The Royal Society has got to find something better to do than tinkering with an unexploded bomb. Leave genetic modification alone. The country has made its stance clear many times on this issue. Don’t try to have another crack at it by calling it gene editing instead of genetic engineering. Our reputation in overseas markets for quality and naturalness is our competitive advantage. We are simply too small to compete in a volume game. We should double down on quality and care for consumer concerns rather than eking a living producing more and selling it for less. 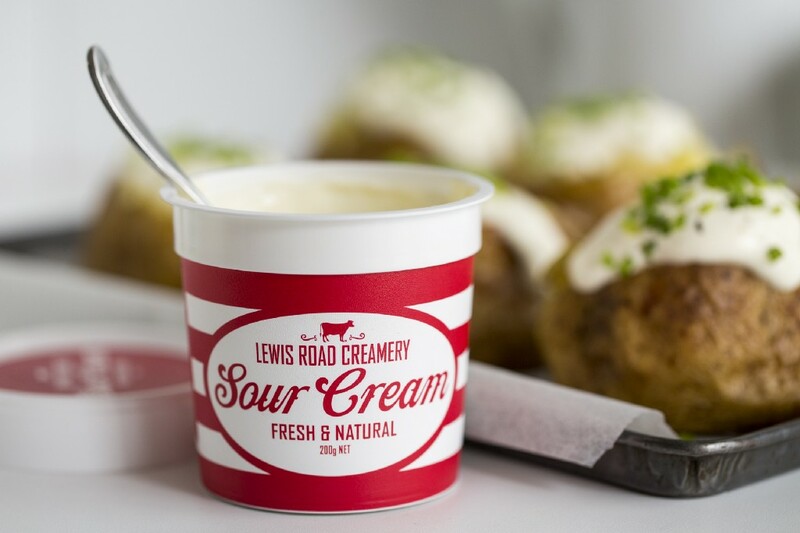 Lewis Road Creamery has been on a mission from day one to prove the value of quality natural products for consumers at home and abroad. In the U.S. the GMO free ‘Butterfly’ logo, is a must for consumers looking for quality assurance. Hopefully, the attempt to allow commercial applications of genetic engineering will wither on the vine. After all the vast majority of New Zealanders are firmly against it. It would take a major change in public opinion to allow GM out of the lab and into our food. I did wonder if the best response to this latest ‘genetic modification/gene editing’ drive was to stay quiet and not give it any oxygen. But, that runs the risk of gene editing happening by stealth. We can’t take that risk, so let’s keep calling this what it is — not gene editing but genetic engineering. And let’s make sure we make our views loud and clear. I realise it’s been a while since the last blog, so I thought I should make this a good one. So, I’ve reached into our ‘crown jewels’ for inspiration and having done so, thought that, rather than pick and choose from amongst them, I’d use the occasion to present them all. Pretty much everything we know and hold dear is contained in a slim volume we call ‘The Blue Book’. It’s our go-to guide for how we think and act as a company. I certainly wouldn’t claim it to be the be all and end all of anything but it has stood us in good stead as we face the myriad challenges and opportunities ahead of us. And I am delighted to share it. I can think of nothing more important to the success and well-being of an enterprise, big or small, than an understanding of and buy-in to, the enterprise’s stories, values and beliefs. Over the years I’ve read countless missions and value statements. All of them are worthy and some of them are motivational. But too often, I think, they are a little too formal, a little to precise, a touch over-engineered and out of tune with the reality of the hurly burly of daily existence. So, we set about things a little differently. Rather than a single page of key points, neatly divided into Mission/Vision etc. (I always have to think through the difference), we decided to write a book. There’s a quote, often attributed to Churchill, about not having time to write something shorter. There’s a lot to be said for brevity of course but on the other hand, a lot of nuance is lost and if you believe that stories are the threads that bind us together, well the more the merrier! We wrote (or rather we collated) the book so that it would be a source of everything we hold dear. A reminder to those of us who have been on this wild journey from the get-go and those who have recently joined. It’s designed as a window into our soul. And a timely reminder to live up to what we say. Because again, if you don’t stand for something, you’ll fall for anything. Our book has been a carefully held secret, a part of our initiation process. A sort of ‘you have to be in to win’ thing. But we thought, why? Why not share what we believe and have learnt to be helpful, with everyone — or at least anyone who is interested. And so as of now, we’ve put the whole book, warts and all, here for you to read. We hope you might enjoy it. And we hope you might find some of it useful. And we hope you’ll keep us to the promises we make. That way, we all win. And that’s what a winning culture is all about. Our Kitchen, where it all starts. I’m only too aware of one of the basic laws of ‘blogging’ — if you’re going to write a blog, you’ve got to write it! And this year has been so busy that I’ve fallen behind in the writing department! So, let me tell you what we’ve been up to and illustrate our approach to creating new products with two examples. 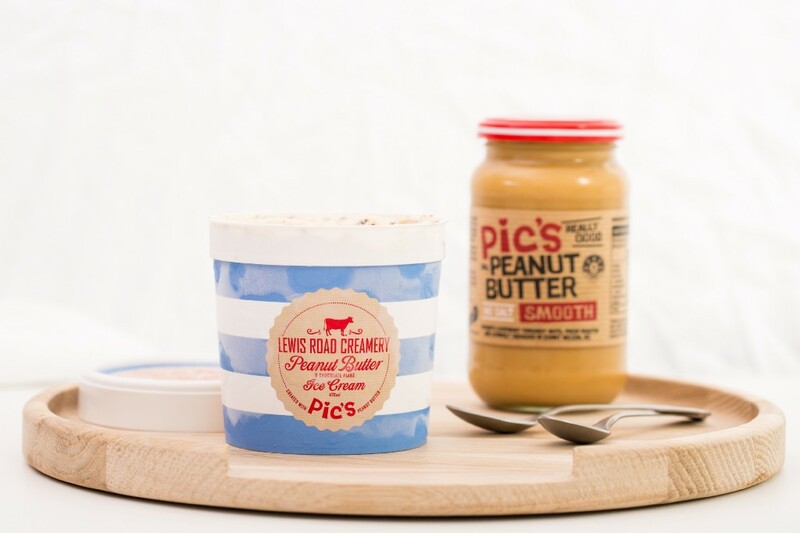 We’ve launched another fabulous collaboration with ‘Pic’ Picot, a food legend, whose Peanut Butter is taking the world by storm. And it all started with him making it in a concrete mixer in his garage in Nelson! A brand new concrete mixer, I should add. When you meet Pic, you are instantly taken with his enthusiasm. He started selling his peanut butter in the local markets in Nelson. There wasn’t a business plan in sight but rather the simple idea that New Zealanders deserved a better peanut butter. And the only way to make that happen was to go out and do it himself. Pic’s peanut butter is now a major success not only in New Zealand but as far afield as China. I love hearing about, meeting and working with people like Pic. They are wonderful examples of what happens if you create products that begin with a real passion, not a research report. Our Premium Peanut Butter ice cream made with Pic’s peanut butter, to which we’ve added chocolate flake, (officially called ‘Stracciatella’ apparently) has been a great success. We sold our first month’s production in four days, which caught us pleasantly by surprise. Our Premium Peanut Butter Ice Cream with Pic’s. Who would have thought of Peanut Butter and Chocolate ice cream? Well in our case, it was the fabulous Liv Glazebrook. Liv is all of twenty three. A graduate of Otago with both Commerce and Food technology degrees. But her best qualification is her enthusiasm for life and food both at Lewis Road and in her own time. Do read this article from Hawke’s Bay Today, Liv’s hometown newspaper. And at Lewis Road, Liv is the queen of the kitchen. Every product we’ve created and every new idea we have in development, starts in our kitchen. It’s wonderful to see how things come together with a clear understanding of what Lewis Road products are all about, doing the basics better but with a dash of originality, a pinch of enthusiasm and a touch of magic. Liv Glazebrook in the Lewis Road Kitchen. Liv is part of our small team. In total, there are fifteen of us with six of the team out on the road in their ‘Mini Moos’. So, nothing happens in the office without all of us being a part of it. It is one of the great delights of being a member of the Lewis Road team. Another product we’re really proud of is our just released, Sour Cream. After what seems like forever, we’ve been able to produce a Sour Cream made as sour cream should be made, with just two ingredients and a little time. No gelatine, no rush. Over the next few months, we have what we modestly think are some outstanding new products to bring to the market. We’re keeping Liv busy! In fact, this morning, I was told off for suggesting a new product idea! ‘Enough’ everyone said. Let’s focus on the next couple of launches we have on our plate. Get those done right and then think about what’s next. So, the idea of the day is on the back burner for now. All our attention is, as it should be, going on the product launches that are in progress. Two of these, in particular, are, we think revolutionary and both will be on shelves this side of Christmas. Thank you so much for your support and we trust we can reward you handsomely with all the goodies we have planned. We think we have some magical times ahead! I promise to write again, this side of Christmas before the rush. Let me start by saying thank you to each and everyone of you who supported us in our battle to keep choice in the milk chiller. A choice that was threatened by a deal that would have seen one supplier, Fonterra, leverage its way to 95% of the milk volume in a major supermarket chain. And if they had won that battle, who knows what they might have tried next? It was a very happy finish to the year, when we heard that, in essence, the deal was off the table. And I haven’t the slightest doubt that what tipped the scales was the scale and intensity of the support we received from Roadies, up and down the country and as far afield as the U.S. and the U.K.
And so, I thought I would write this post to record our experience of ‘People power’, a force that demonstrated the influence of customer choice to change the same old business practices and ensure that in the future, customer needs will trump manufacturer machinations. So, here’s the story as we saw it develop. It is a story in honour of you. 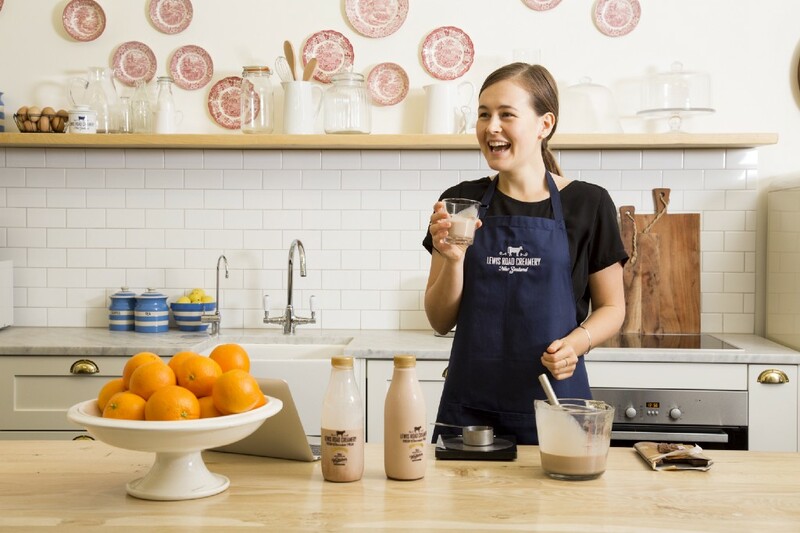 Late in October, we caught wind of a new range of milks from Fonterra’s Kapiti brand. We have no problem with fair competition but we were concerned by the images of the bottles we saw. They looked uncannily like our milk range. What really drove it home for us was the use of a look-alike bottle to ours, especially when Fonterra had invested millions into the much-trumpeted ‘light proof’ bottle used for their other milk brands. We learnt through numerous sources, up and down the North Island, that Fonterra was looking to lock up all but a token gesture of the milk chillers in one of the two supermarket chains. As we saw it, and as pretty much everyone else saw it, the launch of Fonterra’s Kapiti range was an attempt to disguise their potential dominance by including another range (Kapiti) that looked different to anything Fonterra have offered, and, uncannily like Lewis Road Creamery milk. The assumption presumably was that no one would notice and no one would care. But our customers did care. And they started making mistakes, choosing lookalike Kapiti products thinking they were selecting Lewis Road Creamery. The combination of the look-alike Kapiti range and a deal that would effectively exclude viable competition and therefore end customer choice was, for us, a bridge too far. We did, as they say, ‘reach out’ to Fonterra and asked them to reconsider both the Kapiti lookalike design and the obvious inequity of the deal. Unsurprisingly, we were met with polite obfuscation. We were left with a simple choice. To roll over or fight our corner. We believed we had the law on our side but the system is both slow and expensive. By the time we had our day in court, we thought it would be at best, a Pyrrhic victory. We simply couldn’t afford to wait. So we chose to fight our cause in the court of public opinion. The first salvo was an open letter to Theo Speirings, the CEO of Fonterra. The open letter was a facsimile of the actual letter sent to Fonterra. And then, New Zealanders’ sense of fair play made its presence felt in an avalanche of support. We have always reckoned that our ‘Roadies’ (our followers on Facebook) have been the backbone of our business. You sprang to action and made your views overwhelmingly evident. It was so heartening to know we had your support as we took on the country’s largest company. I mentioned the support we received from as far afield as the U.S. and the U.K. One email I received was from a supporter in the U.K. He suggested we should read up on the epic battle between British Airways and Sir Richard Branson’s Virgin Airways, which had numerous parallels to our situation. A battle that Virgin ultimately won after much ‘blood and treasure’. The story of that battle is a riveting insight into the way corporates play. That battle was fought in the early ’90s before the advent of social media. So, while we lacked the scale and reach of Virgin, we had the full power of social media to rally support and give voice to customers’ wishes. From the moment we first announced the issue we faced, we were inundated with posts to our Facebook page. We received no fewer than fifteen thousand plus reactions, a thousand plus shares, more than two and a half thousand comments, and organically we reached 642,228 people. Our first post alone reached 273,000 people organically and had 56,000 clicks. Then the issue took on a life of its own. It was a staggering display of customer’s support and equally consumers’ right to choice. And while social media was the most dominant presence, press, radio and television also picked up the story and gave it the sort of exposure that there can be no hiding from. Finally, on 21 December , two weeks after the furore began, we heard from our sources that the basis of the deal had changed. Other competitive premium milk brands would be able to compete on their merits. We still have the Kapiti lookalike design issue to be heard in court but that’s for another day. Without over egging the impact of social media as a voice for customers, it is hardly conceivable that companies in the future would attempt to control consumer choice knowing that customers can and will make their position so crystal clear. In the future, customer choice is likely to be a combination of what goes on the shelf as much as what comes off the shelf and into the shopping trolley. In the future, customers will, through the power of social media, play a more important and more direct role in dictating what they are offered and what they choose. And the impact of social media has another ground-breaking impact. It levels the playing field between the big and small and offers more opportunities for all. Size alone won’t dictate the outcome. Henry Ford’s dictum of ‘give them any colour they want as long as it’s black’ was the epitome of market dominance, of telling the customer what they wanted on the basis of what they could have. Social media now gives control to the consumer, the customer, the shopper and ultimately the power to control by putting voice to their needs. It’s a brave new world. It’s enormously exciting to be a part of it. And it made the world of difference to us, when we really did feel like David taking on Goliath, to know that while we were dangerously out of our depth in terms of relative firepower, we had the best support of all — from our wonderfully loyal and vocal Roadies. I’m a big believer in serendipity. It’s defined as luck that takes the form of finding valuable or pleasant things that are not looked for. I remember hearing, and I often repeat, the idea that the pursuit of new ideas is much less productive than the ability to capture a new idea when it first appears. The analogy used was to think of our minds as open windows that let ideas drift in. The trick is to keep an open mind and to recognise a good idea when it presents itself. And that leads me to a thought that has taken root as the result of some comments I heard and in a couple of cases, I read, referring to how people see our products as somehow being for them, a ‘happy place’. And the more I have thought about this, the more I think it should guide us in terms of what we do and how we do it. Lewis Road Creamery was started with a simple desire to produce products, originally butter, that could take on the world’s best and win. To prove that New Zealand can get beyond being a lowest cost commodity producer and instead see that our future lies in husbanding our natural assets to produce premium products that we can all be proud of. Success for us is producing products that our customers love and that those who work so hard to produce the raw ingredients we use see the fruit of their labours. I often drive between Auckland and Taupo through the heart of dairy country and feel a mix of sympathy and admiration for the farmers up at first light in all sorts of weather, getting ready to milk their cows. And so our adventure began. We’re still tiny compared to the industry giants but we’re big enough and we’ve survived long enough to demonstrate that our ambition for New Zealand is worth pursuing. And that in turn means, we’re pursued. The giants are slow to respond but when they do, they’re big and determined. Our survival can only be ensured if we’re nimble and innovative. And that’s the thing. We have two choices really. One is to admit the size of the competition and the obstacles they put in our way. The other is to relish the challenge and, as they say, zig when others zag. A sort of David and Goliath thing, without the violence! And that brings me to this thought of ‘the happy place’. Rather than be distracted by what others are doing (including some trolls on Twitter), we deeply believe that the future belongs to those who can see the good in things and who are determined to bring more of it to the world. Of course, we’re a commercial organization. But we’re also a group of like minded Kiwis who are determined to create something meaningful and enjoy the journey along the way. Lewis Road is not just a place. It’s a state of mind. And we’re determined that we do everything we can to keep it a happy place, that is a hot bed of innovation and a rewarding place for all who are in some way part of it. Everyday, we look to our Facebook page as the best source of news from our ‘Roadies’, those tens of thousands supporters who give us the encouragement to keep going forward, to not be distracted by the naysayers and to focus on what’s next. Our cupboard (or should I say fridge) is already full of products we love to make. The latest of course is Chocolate Butter. It’s great to see it get such a good reception in New Zealand and equally exciting to see it written about in papers like the U.K.’s Telegraph and the Huffington Post in the U.S. Certainly more exciting than a story about commodity prices! We’ve got so many new products in the pipeline that our real problem is how do we do justice to them all? Somehow though, that seems like a great problem to have. Innovation is our lifeblood and I fervently believe it’s New Zealand’s lifeblood too. And that’s our focus. It’s what we do best. It’s what makes us happy and more importantly, we trust it makes everyone who buys and consumes our products, happy too. And that’s Lewis Road in a nutshell. Our happy place. Today I was asked if I might provide some brief words of wisdom to the graduands at University of Auckland Faculty of Business and Economics, my alma mater. That necessarily means my speech was short! I thought I would share it with you for what it’s worth. “Today is a momentous day. Your degree is solid proof of your intelligence and some indicator of your diligence. It confers a well-deserved status because you’ve earned it from one of the great Universities. It’s a wonderful and valuable start to your adult working life. But don’t take that as meaning that you have to throw away the lessons of youth. Quite the opposite. Treasure them. Today hasn’t made you suddenly older or more responsible. You’ve got all time in the world for that. Protect your youthful enthusiasm, your optimism, your enquiring mind. Stay youthful in mind and body until you can begin to slow down in your 80’s. You know, from here on in, it’s your diligence and persistence that will stand you apart. Allow me to quote U.S. President Calvin Coolidge on this subject. Perhaps I might quote my simple motto. ‘Where there’s a will there’s a way’. It’s how I judge my own actions and my excuses and its how I judge others’. Put it another way, there’s nothing stopping you. Because truly, if you can imagine it, you can do it. It’s just a matter of how much you want it. So get ready to work hard and work smart. You have to believe in yourself. Not in a vain way but with an inner strength of belief, a depth of purpose. Remain a realistic optimist. In all my years, I’ve never met a successful cynic. Avoid them. Surround yourself with people who will help you lift your head up and look to the future. And yes, you’ll occasionally stumble, make a mistake that seems insurmountable, unforgivable, career ending at the time. Frankly, if you’re not making mistakes, you’re not trying hard enough. I really do believe that judgment is critical. Knowing what is right and what is wrong. What can be fixed and what is best left alone. And judgment can be learned. Make sure you learn it. Your future career path will be like never before. My father left straight off the farm here at home to fly Lancaster bomber aircraft in WW11 across the skies of Germany. He came back and flew for Air NZ for the rest of his career. One career, one company. Thankfully he loved his work. A generation later I spent almost the entirety of my career in adverting and made a huge switch to starting a branded goods company just four years ago. For you, however, it’s going to be an entirely different story. It’s estimated, that today’s graduates are likely to have 25 jobs in 5 different industries. So learn to embrace change. Welcome it. Never let yourself get stuck in a rut. There is no excuse. Each to their own I suppose but be careful not to trade off the excitement of challenge for the dullness of security. And it’s so important that you do what’s right for you. Like most of us, you probably grew up wanting to please others. You might even have done a degree that was expected of you, rather than one you might have chosen for yourself. See your graduation as a beginning, not an end. Now it’s your time. Choose to work at things that really excite you. As I read recently, think about your work as not things you’ve got to do but things you get to do. The future is so exciting for you if you have a mix of brains, imagination and diligence. And what will make it work, is hard work. Because while its easy for you to create something new, it’s just as easy for the person standing to the left and right of you. Hard work will separate you. What does success look like? I guess to many of you, given your degrees, money can be assumed to be a major yardstick of your success. Both how you judge yourself and others judge you. There will always be people both more and less successful than you when judged on material acquisitions. I really believe you should run your own race and I suggest that the best definition of success is a life led to the full, a life in which you’ve made the most of the talents and opportunities in front of you. Financial, perhaps, but also friends, family, sports, interests and a generosity of spirit. And call me old fashioned, conducted with good manners, the oil that keeps the social engine lubricated. Be able to look your self in the mirror and think, I’ve made the most of what I’ve got. I warned that this speech would be short on my accumulated wisdom but let me finish with this. Today of all days is a hugely well-earned recognition of what you have done and what those around you, your family, friends and your educators have helped you achieve. Celebrate to the max. Be thankful for, and acknowledge the help and support you’ve received; be joyous and confident as you leave here today knowing that there’s a wonderful future out there waiting for you. Just grab it in both arms and make the most of it! To finish with Sir Winston Churchill. ‘Live dangerously, take things as they come, dread naught, all will be well’! All the very best to you. We’re really proud of you. Begin as you mean to continue, and go out and make great things happen. But right now? Celebrate! 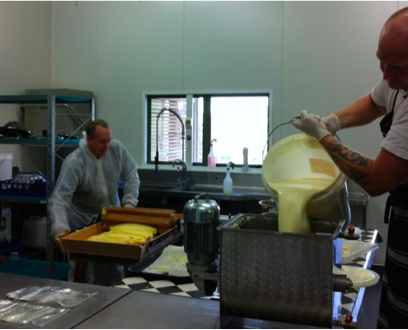 Every so often, I’ve been asked if there are lessons I’ve learnt from starting Lewis Road Creamery. So over the last little while, I’ve begun compiling a list. The truth is of course, that you never stop learning so the list never stops growing. But rather than simply put out the list without further explanation, I thought I might tackle one or two of the lessons at a time. They worked for me and I hope they might help you. Before I go further, I should say that the list was written as a reflection of things I learnt or wanted to make sure I didn’t forget. The lessons might be obvious to you but for me, starting out on a new adventure, they’ve proved invaluable as we’ve strived to grow the business, face new challenges and address new opportunities. The first lesson is this. It’s never too late to start. I remember some years ago flying somewhere and reading an article about Geoff Ross of 42below fame. One point he made, which really resonated with me, was ‘Just start’. Too often, we over think things, we second-guess ourselves, we too easily believe that if our idea is so good, someone would have done it already. And the older we get, the more risk adverse we become. The fact is there’s never a better time than now, this minute, to begin something new. I’m a huge believer in the idea that if you can imagine it, you can make it happen. The only impediment is will power. I know that’s easy to say but it’s true. If you have an idea, then get on with it. I’m not sure whether it’s just human nature or a particularly Kiwi thing, but one of the greatest impediments to success, in my book, is the fear of looking foolish. What if I fail? The answer has to be — so what? At least you tried and you didn’t die wondering! One lesson I learnt very early on with Lewis Road was to ‘burn the bridges’. I had started the ‘business’ on a Sunday afternoon, in our kitchen, making butter in an Agee jar, following the instructions of a woman deep in the Appalachian mountains, sitting in her Lay Z Boy and coming at me through YouTube. Armed with that ‘knowledge’ I created my first batch of butter. The same Agee jar now sits in our Lewis Road kitchen. But the real turning point was not making the butter, but announcing to a group of friends over dinner that evening, that I was going to start a butter company! Quite why I said it, I don’t know, but once it was out there, I felt there was no going back. One of the best things about our country, I believe, is our ability to help and co-operate. Maybe it’s our pioneering roots, when the spirit of community was such an important part of what made us tick. From day one, I have been blown away by the help I received. I made my first batch of home made butter on a Sunday and on the Monday, I called Jason Witehira, the owner/manager of New World Victoria Park. I said, ‘Jason, you don’t know me from a bar of soap (an apt choice) but my wife keeps your supermarket afloat!’ That bought just enough time to put in my pitch, ‘I think New Zealand deserves a great butter and if I can make it, will you sell it?’ ‘Sure,’ said Jason, and that’s how I started. 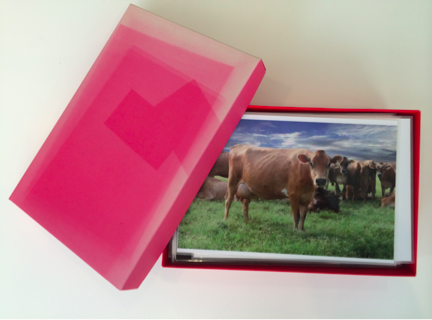 The first Lewis Road Creamery presentation deck. How easy would it have been for Jason to not even bother to take my call or to give me any one of a hundred sound reasons that the venture would fail to get off the ground? True, one lesson is if you don’t ask you don’t get, but a better lesson is, trust people’s better nature. Look to the positives. I have always said I’ve never met a successful cynic. I’ve certainly never enjoyed working with any. I think in a new venture, in particular, you have to surround yourself with people who are at heart, optimists. People who are prepared to give things a go, to see the upsides as well as the risks but have the courage of their convictions. I have always held to the expression that ‘where there’s a will there’s a way’. If you want to do it, there’s nothing holding you back except will power. And here’s something else I believe. Sometimes, you can know way too much. In the dairy business, which is dominated by the giants, the ‘barriers of entry’ might seem insurmountable. Same for most businesses I would expect. But rather than be dissuaded by the size of the challenge, see the size of your opponents as an opportunity. There’s a wonderful quote that I can’t seem to find the source of to the effect that ‘the best way to beat the opposition is to make them look old fashioned and slow to respond’. So rather than being daunted by your opponents size and resources, figure out new ways to do things, work around obstacles, use new tools that others have overlooked. I am totally convinced that we couldn’t have started Lewis Road Creamery, even 10 years ago. It has taken the explosive growth of the ‘digital economy’ to allow us to achieve in a handful of years what has taken others decades. The explosive of growth of Facebook etc., has let us build a wonderfully supportive community of ‘Roadies’ who are so much a part of our success and to whom we are so indebted. Talking about indebted, it’s also worth focusing on another, very real aspect of starting a new business. There’s no gain without pain. Risk is simply a given when starting out. You can mitigate risk but you can’t obliterate it. The trick is to decide how much risk you can afford and be comfortable with, and work within it. Here my advice is to balance the risk against your belief in what you want to achieve and what value that might ultimately create. To me, I can’t imagine starting an enterprise that you don’t feel passionately about. Something that turns a job into a labour of love. Lewis Road Creamery started with my simple ambition of creating a butter (as a big butter eater) that I could be proud of. And at a bigger level, to create a dairy product that was worthy of New Zealand’s exemplary natural resources. Why should the best butter come from Europe? Why not from here? And thus the adventure began. And our first attempt was a disaster! More about that next time. Palm Kernel Expeller should be banned. Here’s why. PKE — those three letters are important. 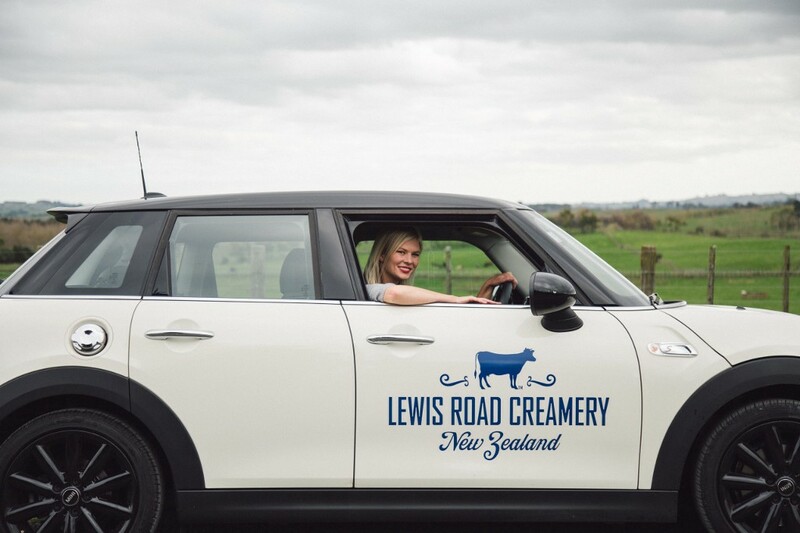 Not just for us at Lewis Road Creamery, but for our Roadies, our customers, our trade partners, our suppliers, especially our farmers and frankly for New Zealand. This issue has been of profound significance to our team here at Lewis Road for a while, and finally someone has taken action. Let us all give a standing ovation to Landcorp for committing to go PKE free. Landcorp’s stance deserves all the support and recognition it can get. From the first time that Lewis Road bottled milk, we wanted to treat milk (and those who work so hard to produce it) with the respect it deserves. We launched at a time when ‘regular milk’ had been in a constant state of discounting, reaching such low levels that it’s often cheaper to buy a bottle of milk than a bottle of water, drawn free from the town water supply. It’s not possible that that makes economic sense — think of the costs of the land, the herd, the transport, the bottling, the distribution, the margins and the need for those involved in every step of the process, from the farmers to the retailers to earn a livelihood. To produce cheap milk, someone has to pay. That fell to the industry, the farmers and the producers. What did they do? Understandably, farmers and producers looked to eke out every last drop of value from their milk. Some farmers, beginning in 2007, started to supplement the herds’ feed with Palm Kernel Expeller (PKE). And producers ‘standardised’ their milk’s fat levels to the minimum required by law by ‘watering it down’ with ‘permeate’, a legal by-product of dairy production. And right there, we have a perfect example of New Zealand’s economic weakness. Our penchant to look at all things as though quantity, rather than quality, is the one and only answer. I’m no fan of permeate, a sort of unnatural/natural product that in other countries is considered waste. But I’ll save that discussion for another time. So we’re clear, Palm Kernel Expeller is the waste product from palm oil production. The litany of sins attached to palm oil production is without end. Palm oil production has ruined the lives of countless villagers and destroyed vast tracts of native vegetation in South East Asia. And along with the destruction of a way of life has come the actual destruction and endangerment of wildlife, non more heartbreaking than the orangutan. Yet in the pursuit of that last ounce of milk, some (not many) New Zealand farmers are feeding their herds with the product in, arguably, the greenest country in the world. It’s madness. Putting aside the fact that the cows have to be ‘trained’ to eat the palm oil leftovers, every mouthful they consume puts at risk our reputation on the world stage as the home of grass-fed dairy. Why should the actions of a few, put at risk the reputation of the many? PKE is a relatively new phenomenon. While it has been imported for some time, its use skyrocketed when it was imported in large quantities as a temporary solution to drought conditions in 2007. And like so many ‘temporary’ things in New Zealand, it’s been here ever since. Today New Zealand is the single biggest consumer of PKE worldwide. And get this — there’s apparently even ‘organic’ and ‘sustainable’ PKE! But there’s simply no such thing as good PKE. People have a right to know what is in their milk. From the outset we celebrated the fact our Lewis Road Creamery organic milks were PKE free. And while we are confident our more affordable Premium Milks are free from PKE, we are unable to guarantee it until we see the use of PKE stopped on all farms. Importing PKE doesn’t make sense at any level, especially internationally. Our future as a country cannot be securely built on supplying low priced commodities. We have to wean ourselves off that approach and do all we can to enhance our nascent (but threatened) reputation as a beautiful country that has an enviable reputation for its branded foods. Foods that are sought-after in the world’s most affluent consumer markets and produced from cows who, like so few in the world, have the enviable opportunity to feed on grass pastures. We mustn’t continue to hide our light under a bushel, converting our milk to commodity powder and selling it to agents who then on-sell it to companies who know how to add value. New Zealand has to add the value and reap the rewards. I’m not being naïve. I understand that Fonterra is faced daily with an ocean of milk that it must turn into value within days, or that value is lost. I can barely understand the complexity of what they have to deal with. But I do understand that decisions that are supply-based rather than demand-based, too often lead to mistakes and lost opportunities. PKE is one of those wrong decisions. And the best way to fix it, and fix it fast, is to deal not with its importation but with its exploitation. Federated Farmers argues that there’s no point in banning exports of PKE because the trees have already been killed. That’s about as sturdy an argument as saying we might as well keep on carving and selling ivory tusks because the elephant is already dead. We know our grass fed claim can be a powerful tool. So powerful, companies like Munchkin in America are basing their infant formulas on our grass-fed dairy supplied by Synlait. In fact grass-fed dairy in the U.S. is becoming more sought-after than organic dairy because a high proportion of organic dairy in the U.S. is not grass-fed. I really do believe New Zealand is at a crossroads. Down the road leading to commodities, produced as cheaply as possible, lies uncertainty (if you discount the certainty of dwindling returns and an ever changing array of cost cutting competitors). Down the other road, is a future in which a world community, modest in a per capita sense, but immodest in a purchasing sense, will continue to seek out the best possible products to feed their families and themselves. They are living in a connected, digital world where no stone is left unturned about how things are produced and the consequence of those decisions. Here’s one thing we in New Zealand can do and do now. Let’s commit to being the best we can be in an industry that is our country’s backbone. We’ve already made strides in tidying up our waterways and regulating our use of fertilisers. Now we encourage the rest of the New Zealand farming industry to follow Landcorp’s lead and stop using PKE. What’s expedient is rarely what’s right. Let’s get back to being a country that’s rightfully proud of doing the right thing. Landcorp’s landmark stance puts paid to the argument that PKE is a necessity in today’s farming practices. If Landcorp can do it (after careful consideration), then so can others. Let’s be proud of our grass-fed dairy. Wow! It has been a little busy over here at Lewis Road Creamery over the last few weeks. 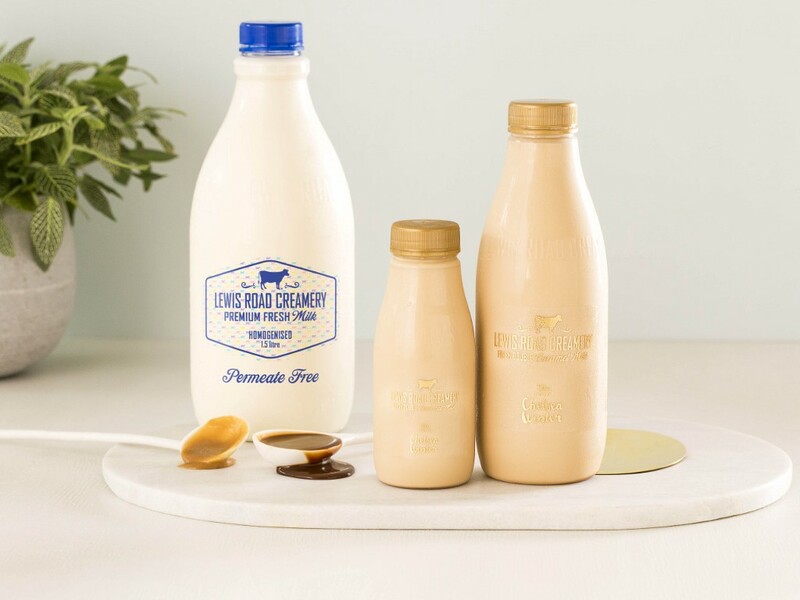 Amidst everything else we’ve got going on, meaning making sure all our fresh milks, butters, and other products make their way from New Zealand farmers to your kitchen table, we launched our Double Caramel Milk, created with Chelsea Winter. What makes this launch so exciting for us was the speed with which we were able to go from a blank sheet of paper to a fabulous new milk flavour that has sprinted to the top of our sales rank with our ever-popular Chocolate Milk. And best of all, it has proved there really is magic. And the magic is Chelsea Winter. Here’s how the magic happened. Like any business, as we’ve learnt, we need to keep a number of plates spinning at once. A couple of months ago, a product we had expected to launch had to be put on hold for lack of the right ingredients. We needed to fill in that hole on the shelf — and fill it quickly — or it would be filled by our competitors. We looked to our Roadies for inspiration. And inspiration you gave us! Caramel Milk? Of course! But we thought, let’s not give our customers just any caramel milk. If we are going to do this the Lewis Road Creamery way, then let’s double down and create a double caramel! So that was decision number one and it took all of 10 minutes. The next step was to decide what a double caramel might taste like and what caramels could we use. As we gathered around our kitchen table at ‘Global HQ’ (you can see it in the picture above), we pondered two things: how might we decide on the flavours and with whom could we develop the milk? Next morning we had the answer to both. One of our team, Claire, talked it over that evening with her partner Daniel, a chef. The following morning she brought in a pot of butterscotch and another of dark caramel. In the meantime, Angela, our marketing guru, came in with an ‘I’ve been thinking moment’, and suggested we approach Chelsea Winter to see if she would like to collaborate with us. You know the end of that story! Chelsea immediately added her magic to perfect the Double Caramel recipe you’re now drinking. We weren’t ready yet to unveil this delicious drink though. You see, while caramel is easy to make in little batches over the stove, it is really challenging to make in commercial quantities in a way which remains true to the simplicity of good homemade version but able to work with fresh milk bottling at the plant. That’s where Michelle, who oversees our operations, came in. She told a harrowing story of another company who attempted to make huge batches of caramel, only to have it turn to solid toffee! Apparently, they had to call in a digger to dig out tonnes of spoilt product! Again, our food tech partners and bottlers excelled with their ‘can do’ attitude regarding both product and timing. Within a couple of weeks, and with Chelsea’s constant support, we had it cracked (excuse the pun). Then, it was off to the races! Well, not quite. To sell a new product with national distribution requires the belief and willingness of the supermarket chains to get in behind it and support it. And that they did in spades. Now it was launch time, all within a few short weeks of having no more than a blank sheet of paper. We think we might have created a world record of sorts! To build excitement and show our Roadies true Double Caramel love, we dreamed up a live event and decided to pick a town for the very first sampling in all of New Zealand. Ashburton came up trumps, and on Monday July 4, there was Chelsea and our team in Ashburton sampling 2000 bottles of deliciousness. As I write this, Double Caramel is our number one seller BUT Chocolate Milk sales have increased too. I would never have picked that but I’m delighted with the result. The moral of the story for me is twofold. Pressure really does make diamonds and magic is real. We’ve always concentrated on delivering delicious products to our customers and delivering them new and delightful products. Combine that with our belief that where there’s a will, there’s a way, and it’s possible to turn around new products in next to no time with great results as long as the focus is on quality and you’re prepared to back your own (collective) judgment. You don’t need a big team or a complex process. All you need is a smart team who just wants to get things done and believes that they can. And Roadies who appreciate and love what we do. Thanks to each and every one of you. It’s fun and challenging and we can’t stop for a minute but every time we do something new, we learn something new too. I thought I might share some of those lessons in the next blog. Cheers. I’m not sure I know what I’m getting myself into here! But then, that’s been true of my Lewis Road Creamery adventure from day one. Recently, we learnt that we are rated as the third most trusted food brand in the country after Whittaker’s (of course!) and Heinz Watties. We also learnt, that not many people knew much about the people behind our products and there was a real desire to know more. So I’ve decided to address that by starting this. A blog. It’s a great day to do so because it’s Lewis Road Creamery’s fourth birthday today! My youngest, Grace (our first Roadie on Facebook), has promised to follow me (so that’s one follower at least) and will hopefully guide me when I stray from blog orthodoxy. Lewis Road Creamery started with a mission. I couldn’t understand why the best butter on the supermarket shelf was Lurpak, a Danish import. My standard diet is bread, butter and ham, so I know my butter well! Why, it occurred to me, was the best butter coming from the other side of the world? Why shouldn’t New Zealand make not only the best butter, but the best dairy products — be they milk, cheese, yoghurt, etc? And that raised the larger question. Why should New Zealand remain so focussed on commodities when our future as a country exists surely in producing high value branded products that can compete on the world stage, and that do justice to the efforts of a dairy industry that works so hard? I firmly believe our future is about quality over quantity and value over volume. While we’re only minnows in a tank of killer whales, many of the enquiries we do receive are from curious minds eager to understand the new rules of business in an age when all the old rules can be thrown out. There’s lots of room for and need of, more minnows. So come join us in the tank. Dive in. That classic opening line in Dickens’s ‘Tail of Two Cities’ springs to mind. ‘It was the best of times, it was the worst of times’. And that, frankly, is what it sometimes feels like to me as we work furiously and passionately to demonstrate what I believe is New Zealand’s best direction to optimise our wonderful natural resources and at the same time grow and thrive in a market that is super competitive. I’ll tell you this. The excitement, the challenges, the sheer fun of doing what New Zealand lets us do is something I wouldn’t want to miss for all the tea in China. And that’s what I want to share with you. Stay posted… Next time, I can’t wait to talk about our latest product, Double Caramel Milk created with Chelsea Winter. It may have broken some world records. Best you wrap your taste buds around it, and we’ll talk soon.